Shared Belief Faces Three Turns in Charles Town Classic: Before anyone withdraws their life’s savings to bet Shared Belief at Charles Town on Saturday, take note of the track configuration. Because Charles Town is a six-furlong oval and they run the $1.5 million Charles Town Classic at nine furlongs, the field will go around three turns. With that in mind, Shared Belief makes his three-turn debut for trainer Jerry Hollendorfer and owner Jungle Racing. Handicappers must decide whether or not this makes a difference. Shared Belief makes his three-turn debut for trainer Jerry Hollendorfer and owner Jungle Racing on Saturday, April 18, 2015 in the Charles Town Classic. 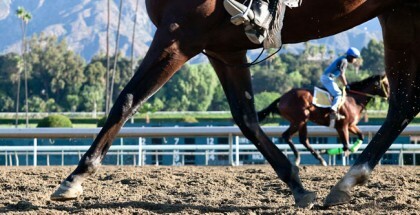 Certain horses become more stressed out from turning. Leading Derby contender Dortmund would prefer fewer turns as he never accelerated through the far one that well until the Santa Anita Derby. In addition, extra turns on a tight track tend to help speed horses because they cut the corner. At the defunct Fairplex Park meet in Pomona, speed horses that faded by 10 or 20 lengths at a “regular” racetrack always warranted extra consideration because their course was also a bullring-type. 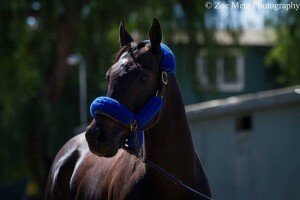 Track configuration aside, Shared Belief is obviously talented and the deserving favorite. His win streak stands at three and includes the Grade I Santa Anita Handicap and GII San Antonio over California Chrome. From the fourth post position, regular rider Mike Smith can decide whether to press the leader or take back. The leader, unless something unforeseen happens, will be the other gelding, Moreno. Moreno’s trainer Eric Guillot tends to speak his mind, and he made it clear that Moreno will be sent up front from the sixth post position. Moreno’s good races have come when he set the pace. For example, even though he lost the Santa Anita Handicap to Shared Belief, he still fought for second after setting the pace. When Moreno fails to make the lead, more often than not he quits badly and misses the board. 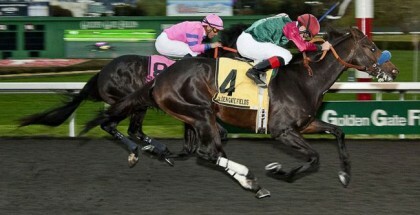 Jockey Cornelio Velasquez fits this horse well as he rides aggressively. One slot to the right, General a Rod hopes to continue his winning ways for new trainer Todd Pletcher, who sent the colt to a six-length win in the Challenger Stakes at Tampa Bay. Jockey John Velazquez rode him that day and gets the call again here. He stalked the leaders before making his move at Tampa. 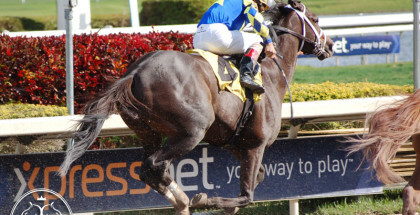 Expect the former Kentucky Derby contender to sit just off the leaders again. To the left of Shared Belief, Street Babe makes only his fourth career start after winning the GIII Mineshaft at Fair Grounds. He defeated the speedy Mystery Train and Red Rifle over there, among others. But, his overall class remains in question as he lost to Fast Falcon two starts ago at Gulfstream Park, and that horse habitually loses races. At least top rider Joel Rosario will ride. From the second post, Vyjack takes a shot as well. Also a former Derby contender, and a fellow gelding, Vyjack disappointed running last time at Aqueduct a few weeks ago. Despite a credible run finishing third in the nine-furlong 2013 Wood Memorial, he always gave the impression of a horse that prefers one-turn sprints or one-turn mile races at most. Bettors might use this one underneath. Of course, the question of value comes into play again for another Shared Belief race. Will bettors reason that he cannot lose and key the star horse on top? Most players will take this route. There is nothing wrong with skipping a race, either, a repeating theme of these articles. If an upset does occur, whether because Shared Belief hates turning or dumps Mike Smith, Moreno and General a Rod are the two most likely horses to take advantage.